Client had a newly constructed home. This project provides a great example of the value working with both Northampton Nursery & Northampton Building Solutions. 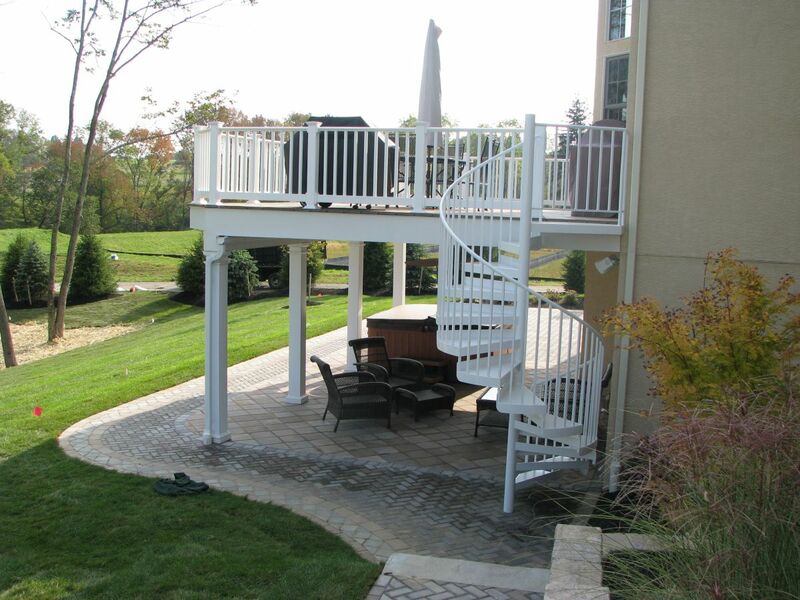 We provided the paver patio and the deck with spiral staircase. From the back of the driveway there was a steep hill into the backyard. 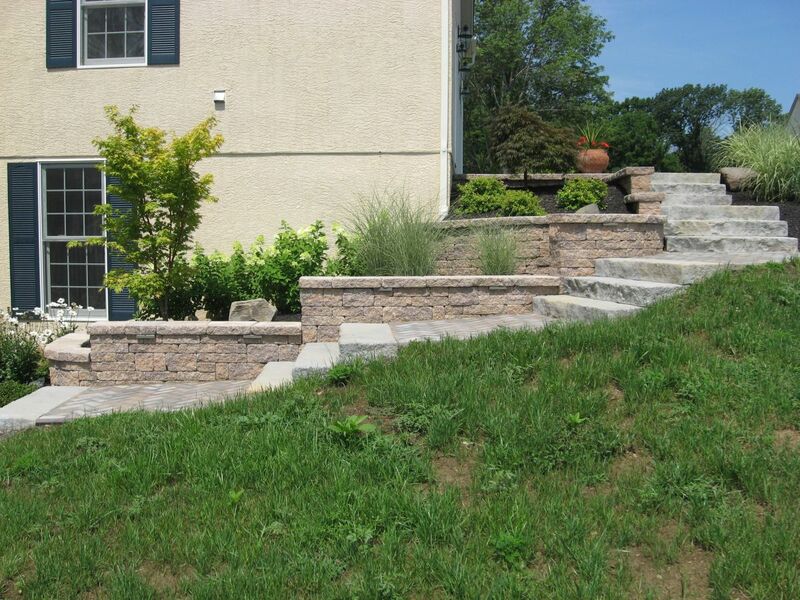 We constructed retaining walls into the slope and installed Roca steps for a nice set of stairs which brought you to the new patio. The patio was constructed at existing grade so that the client walked out of the sliding glass door from the basement onto their new patio. 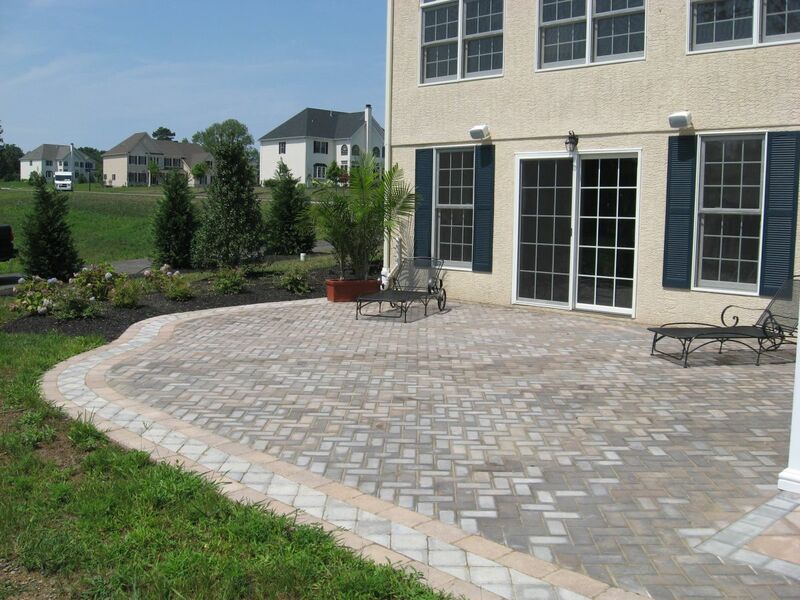 The patio was constructed using EP Henry pavers and has a nice decorative border around the outside. 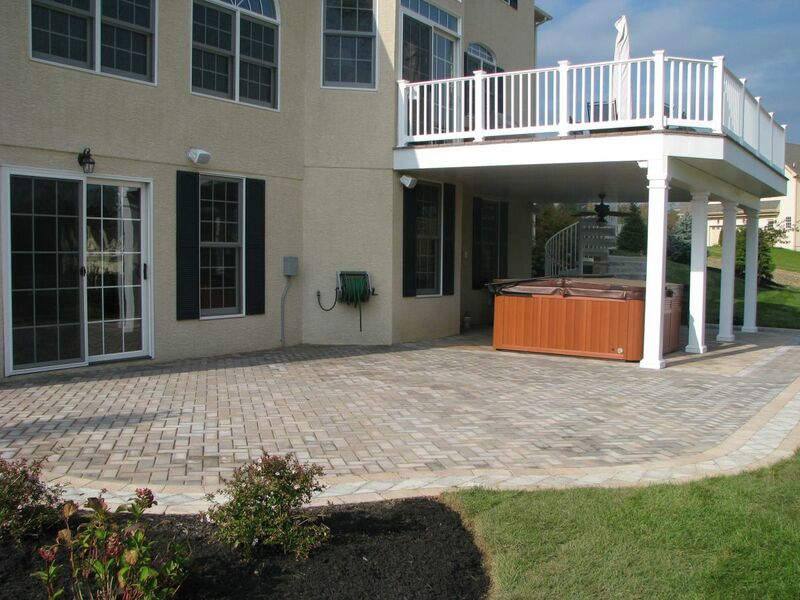 You also notice the nice inlaid change in pavers in the hot tub area to make this stand out as a separate “room”.